1.Appropriate for fitness, out of doors commute, mountaineering and other out of doors actions. 2.Chest sliding adjustment system can briefly alter to their at ease state,in order that more at ease Backpack. 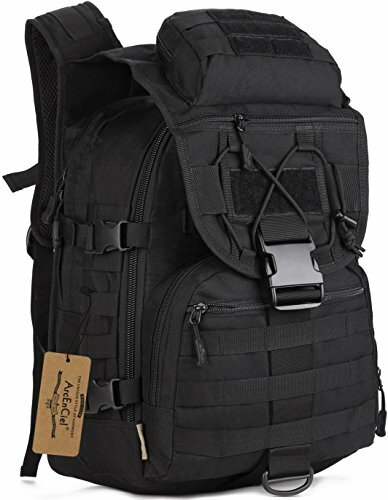 3.MOLLE external enlargement system designed for use together with other apparatus,you’ll load pockets,water bottle bag,accent kits and other. 4.The bag works neatly with plenty of other outfits and casual types.